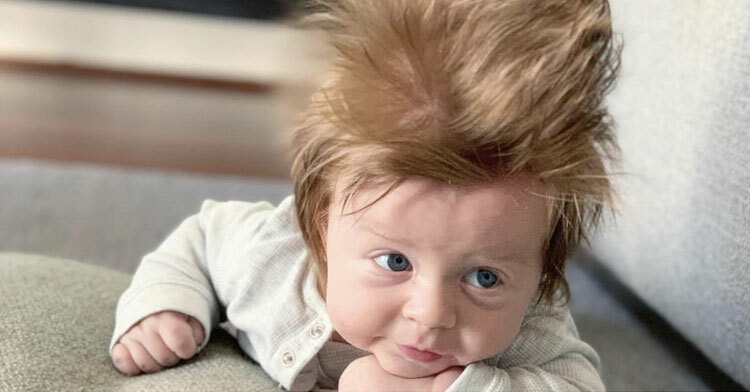 Australian Baby Born With Insanely Luscious Hair Has The Internet Freaking Out. While some babies have more hair than others, we’re normally used to seeing mostly bald infants. So when people notice Tara Simich and her four-month-old son out in public, they tend to stop and stare. That’s probably because upon first glance, it looks as if the adorable baby boy is wearing a wig. On December 4, the mom-of-two from Perth, Australia, gave birth to her second son, Boston. 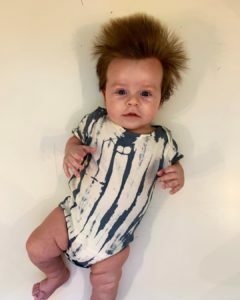 The little boy was born with a full head of thick, lustrous hair just like his dad’s, Tara says. And in the following months, it just kept growing into the gloriously untamed bouffant it is today. 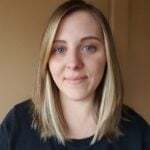 Because of the hilarious way Boston’s mop stands up on end, Tara has been asked many times whether she’s using product on his hair or spiking it up herself. But she says that’s just its natural state. 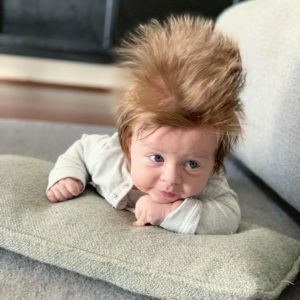 Tara regularly shares photos on Instagram documenting Boston’s hair growth, which doesn’t appear to be slowing down at all. 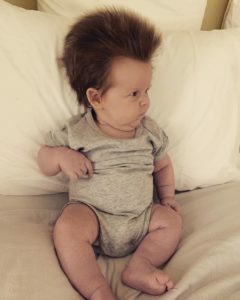 Her followers always get a kick out of Boston’s abundance of hair, which rivals that of many adults. “Looking at that cute face, he looks a little bit like Wolverine’s offspring,” one person joked. Honestly, it’s a fair assessment. Many speculate that if moms experience a lot of heartburn during their pregnancies, they’ll have hairy babies. We have to wonder, then, how much heartburn did Tara deal with before Boston was born? Congratulations on the precious addition to your family, Tara. 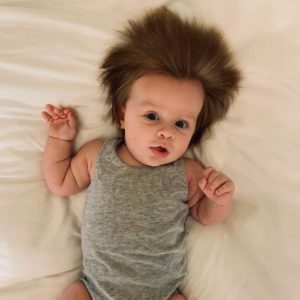 Hair or not, he is a seriously cute little guy! Share this story with other parents of hairy babies who can totally relate.